We present you the sealer for SMS-1400 / PN / AC film . The welder is located on the mobile IST base so that it can be easily adjusted and moved. This latest Super Magnet Sealer model can weld up to 1400 mm long. The SMS-1400 welder , like other SMS series devices, is reliable and effective in bag production and film sealing and is very intuitive to handle. 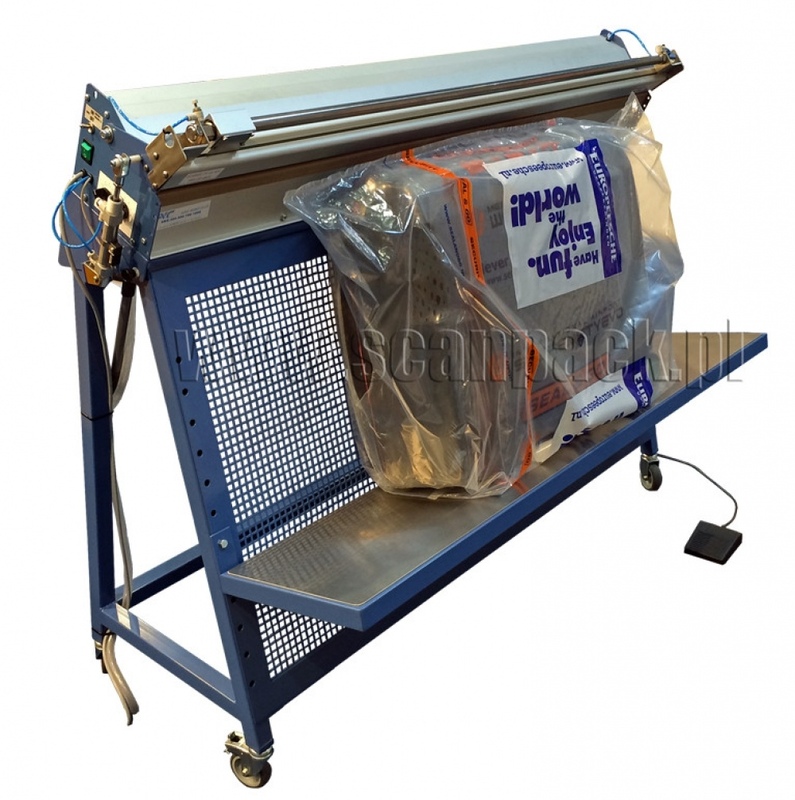 The welding machine can be controlled manually or by means of a foot switch. As standard, the sealer is equipped with a knife to cut off excess film and individually adjustable welding and cooling time. The important advantage of SMS welders is the precision, speed and time of a single weld. The SMS-1400 welder is especially recommended for the welding of wide and thick foil bags for packaging heavy and large products. SMS foil sealers on the Polish market have for years been unrivaled in terms of vitality and failure-free operation. We invite you to make inquiries.